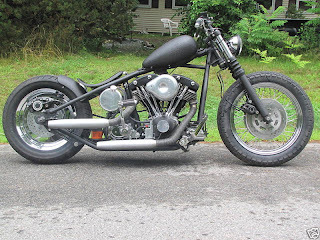 It's not perfect... it needs a mag, kicker, mids, and maybe a skinnier belt or more ground clearance... but the suspension, light wheels, nice tires, and great brakes are pretty wicked. 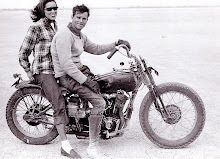 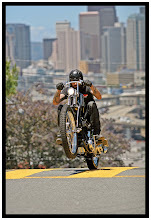 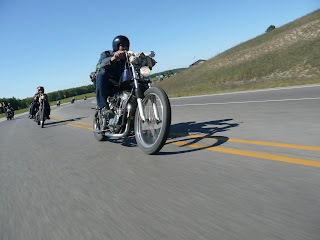 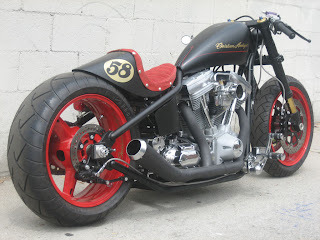 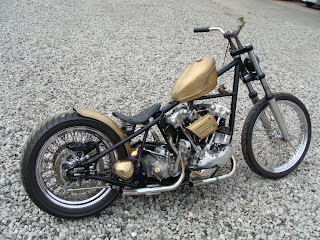 Simple kick only Shovelhead from the USA. 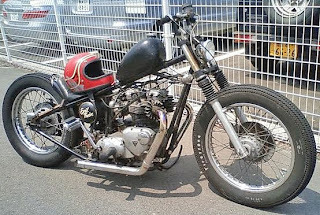 Cool Shovel from the US. 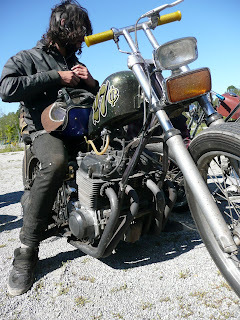 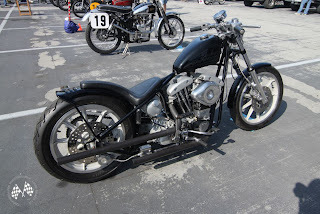 Skinny, frisco style Knuckle from Japan. 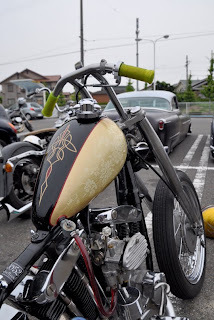 One of these shots is MotoYan's swiped from his blog. 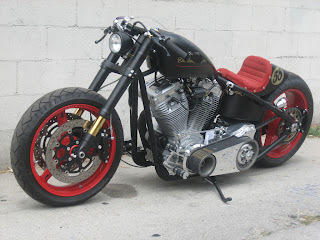 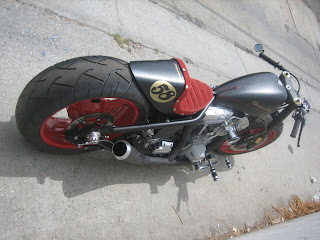 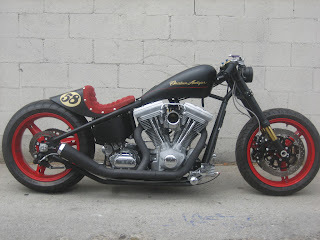 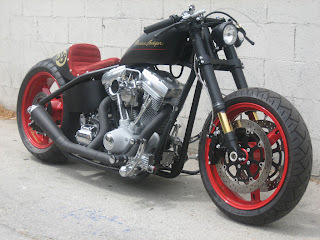 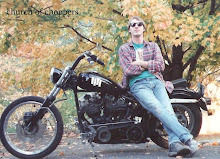 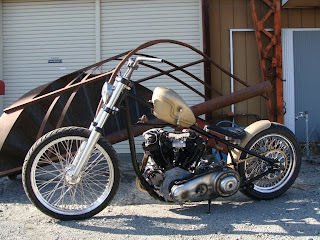 Cool Kuckle built by Jene's choppers. 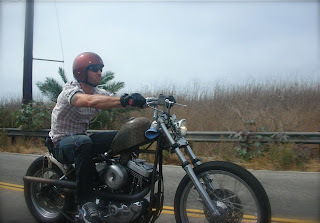 I've had this one up before, but I found some new pics, so I thought I would post them anyway. 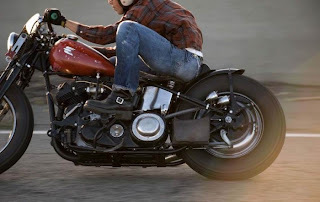 LIGHT, SKINNY, FAST, HANDLES GOOD, ground clearance? 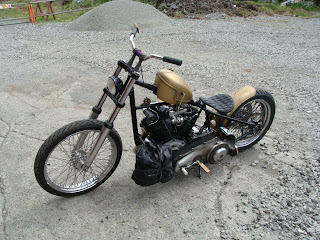 LIGHT, SKINNY, FAST, GROUND CLEARANCE, HANDLES GOOD, STOPS GOOD, mid pegs, high pipes, magneto, No battery? 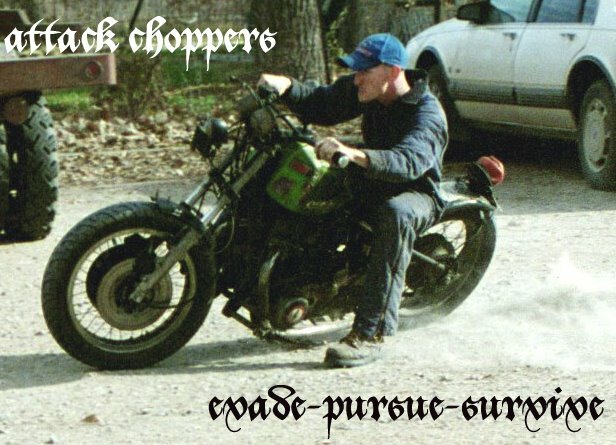 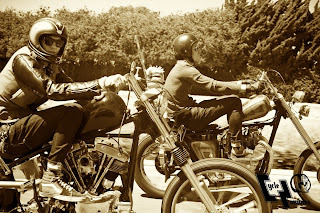 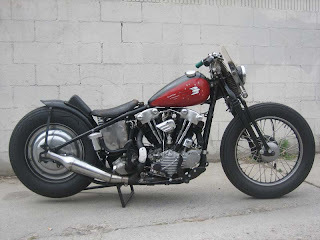 Pretty sure I swiped this one from the Church of Choppers blog. 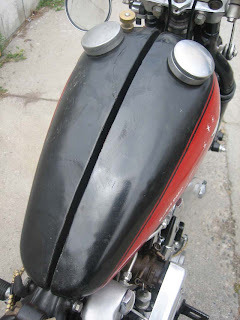 This sucker looks like a good time. 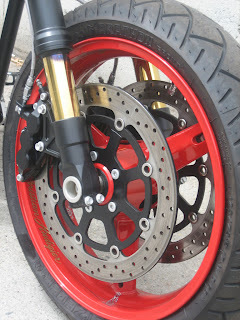 Add me some front brakes and lighter wheels and I think I could live with this one for a long, long time. 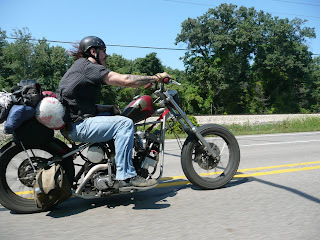 Man... this thing must be soooo light. 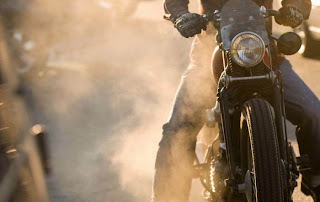 Key inspirational bikes: Han Solo's Millenium Falcon Evo! 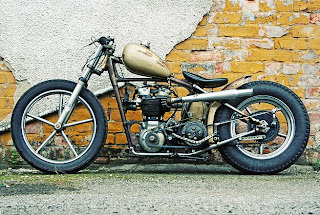 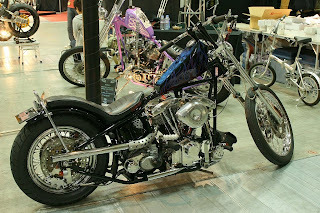 TIGHT deraked Shovel that could use a mag and some front brakes! 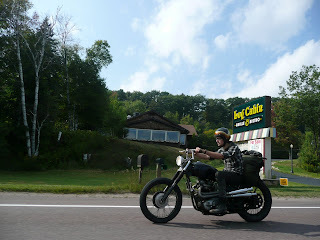 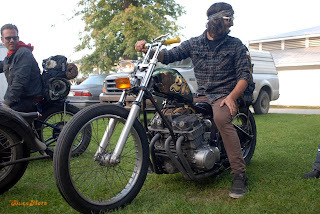 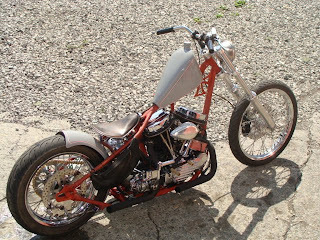 Nice stripped down Shovel chopper. 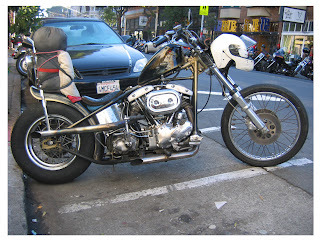 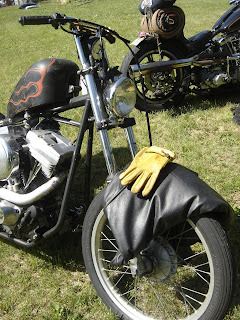 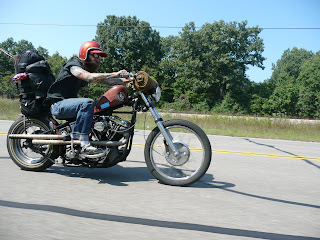 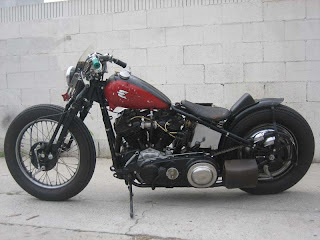 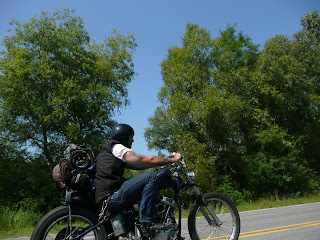 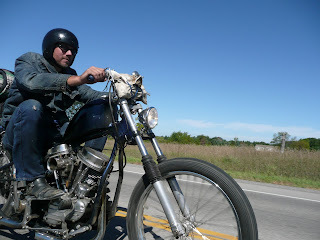 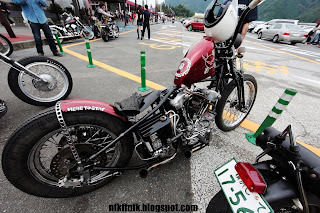 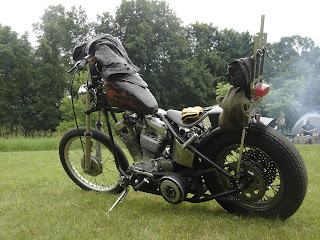 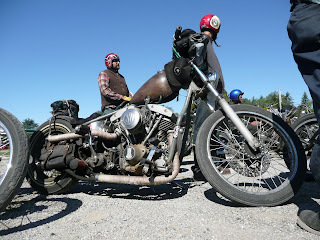 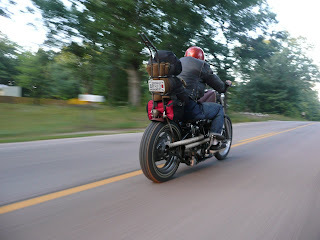 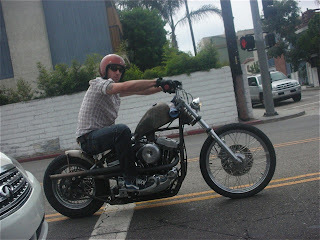 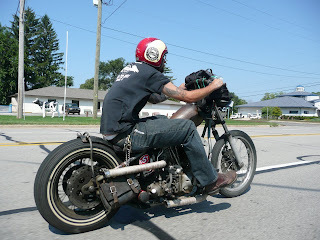 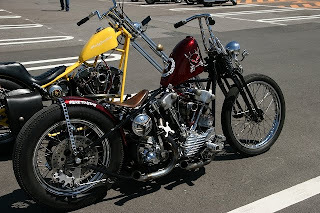 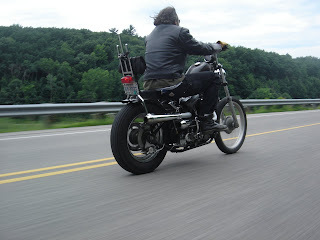 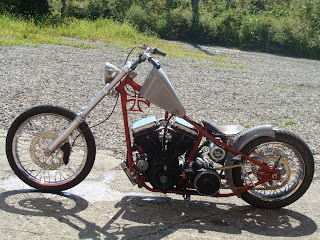 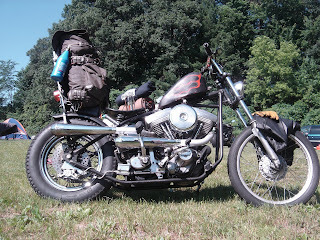 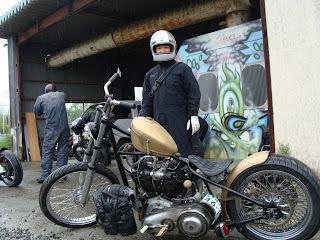 Great Panhead Attack chopper from Jene's chopper blog. 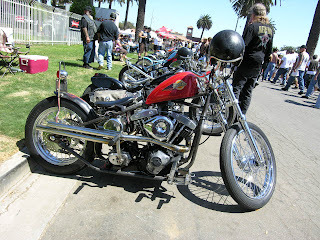 I found where these shots came from and foudn a few more... and as it turns out, I have posted shots of this Kuckle before! 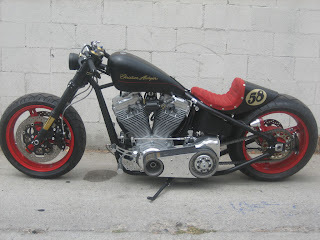 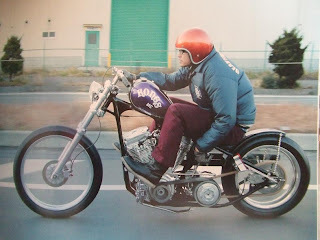 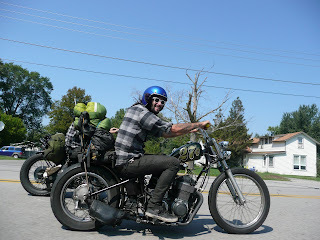 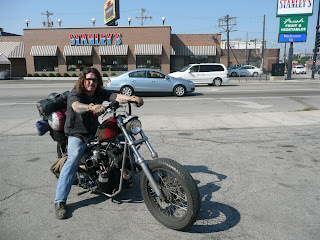 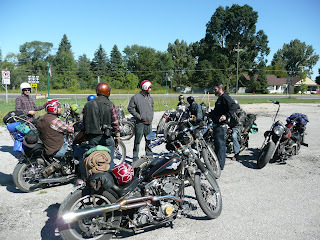 A big batch of sweet Attack choppers from The Donutthole Blog! 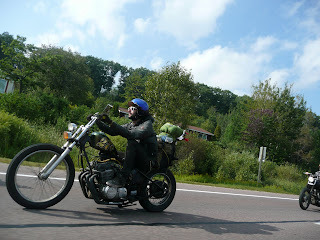 Rigids and attack choppers being used to do long distances!